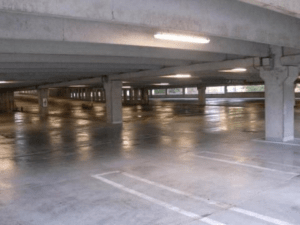 For the managers of a parking garage, cleanliness is crucial. A driver needs to trust that their car and their belongings will be safe and if a garage looks dirty or unkempt, it may signal that no one is going to watching their vehicle. If that’s the case, spots are going to go empty and a lot of money will be left right on the table due to the garage looking sketchy or abandoned. By hiring the power washing professionals at Ohio Power Washing, you can keep your garage looking neat and new, showing that the property is maintained and garage managers are keeping a close eye on their car.